Boat pictured is a Bull Nose 22’x8’6”. Twin outboard powered. 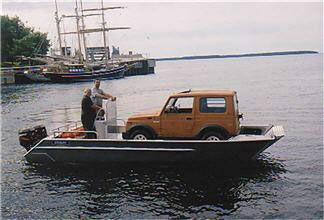 Boats are available in stock sizes from 20’ to commercial sizes of 48’x15.